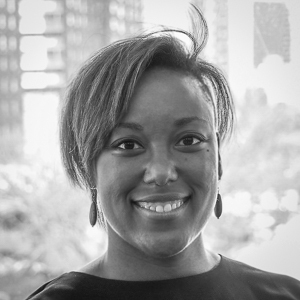 Dr. Cogburn is an assistant professor at the Columbia University School of Social Work, and faculty of the Columbia Population Research Center where she directs the Cogburn Research Group. Through her research, Dr. Cogburn explores innovative approaches to better understand and address the role of racism in producing racial inequities in health. This includes leveraging the power of virtual reality to create immersive, visceral experiences with racism, examining the effects of exposure to media-based racism on acute stress responses, and using “big data” to track the prevalence of media-based racism and associations with population health. Dr. Cogburn completed postdoctoral training at Harvard University, received her Ph.D. in Education and Psychology, as well as her Master’s of Social Work, from the University of Michigan, and earned her B.A. in Psychology from the University of Virginia. Her talk discusses using virtual reality as a tool for creating empathy to heal social divides.